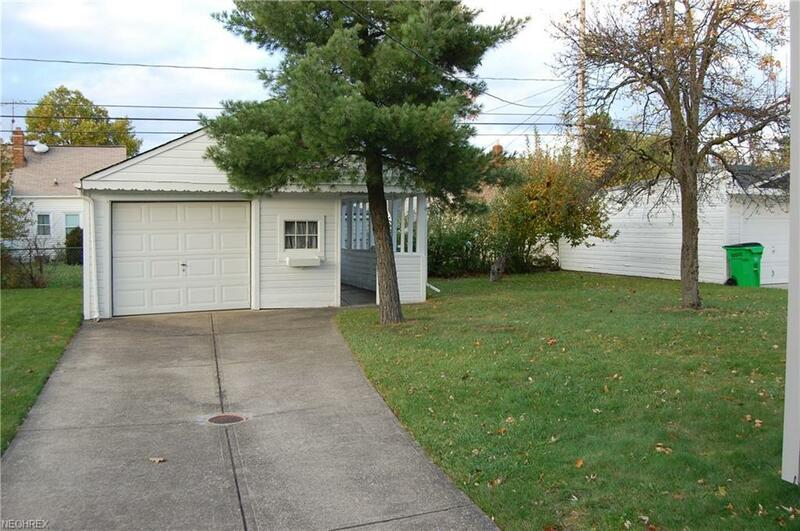 Move right into this lovely home that is so cute and extremely clean! 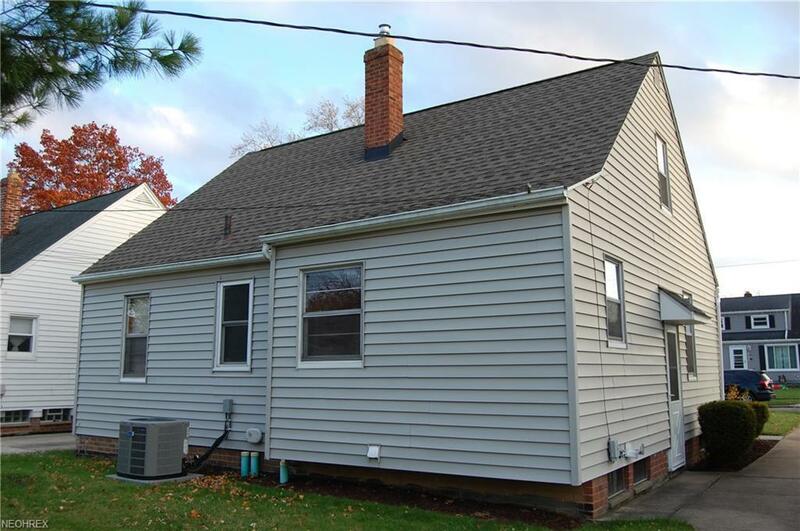 Updates thru out the years include Kitchen, bathroom, roof, hot water tank, A/C 2016. You will find 2 bedrooms on the first floor with natural hardwood and 1 super large bedroom located on the 2nd floor that has an additional sitting/computer area and a walk in closet. The basement is partially finished and has a separate laundry area. 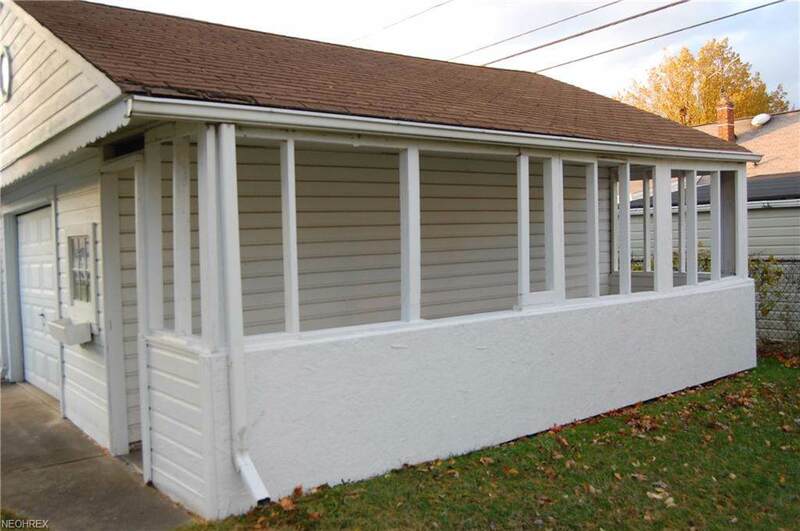 The detached garage has a side patio/porch that will be lovely in the spring/summer months. 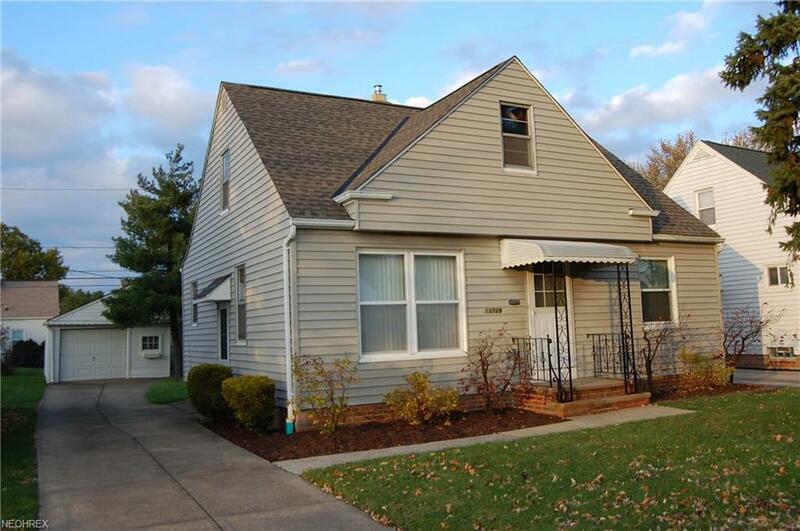 The home is City of Garfield Heights point of sale violation free and has immediate occupancy!